Daily Illuminator: Own Original Munchkin Teenage Mutant Ninja Turtles Artwork By Kevin Eastman! December 9, 2018: Own Original Munchkin Teenage Mutant Ninja Turtles Artwork By Kevin Eastman! Kevin Eastman, co-creator of the Teenage Mutant Ninja Turtles comic and powerhouse franchise, worked with IDW on their new Munchkin Teenage Mutant Ninja Turtles game . 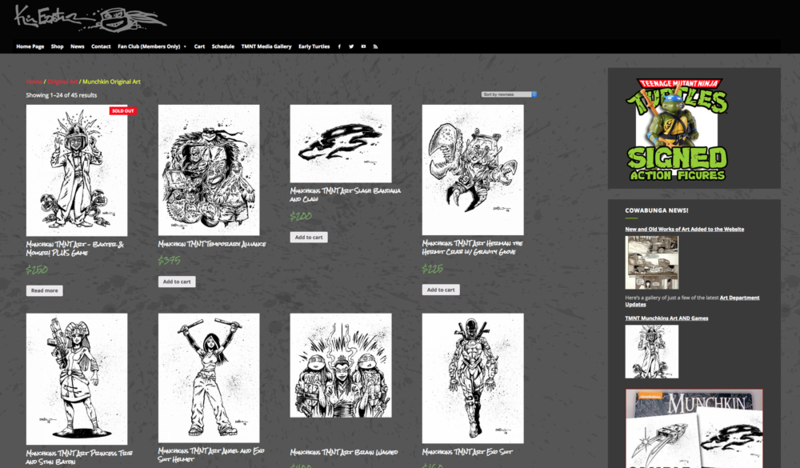 . . and now Kevin is selling the artwork on his website! This is an awesome gift for the Munchkin Teenage Mutant Ninja Turtles fan in your life who thinks they have it all, because we know that they don't have original Munchkin Teenage Mutant Ninja Turtles art by Kevin Eastman!